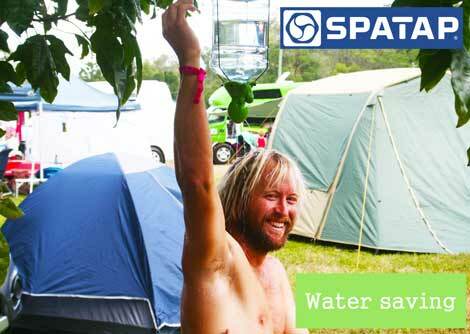 With major music festival circuits popping up globally, SpaTap festival Tap and shower system is beneficial to festival attendees who stay on campgrounds for days on end and have a limited supply of water. Since this is a portable device, where are some of the common places people use it? 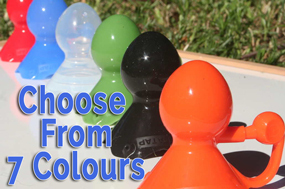 You can use a SpaTap in places that doesn’t have water readily available for hand washing and showering. Music festivals and camping outdoors are perfect places to have a few SpaTaps hanging in the Sun, but also uses have been found for first aid, hydration, cooling down under our hot sun, in emergency and disaster zones, refugee camps, on recreational holidays, travelling, caravanning, Sports, mums with young children, the garden, infact anywhere you need a flow controllable tap. There are so many places a SpaTap can go, just put it in your pocket. Environmentally, the scourge of discarded plastic bottles causes unspeakable harm and death to marine species and Earth’s delicately balanced ecologies. Chemical degradation via hundreds of millions of discarded plastic bottles in landfill and sea environments continues unabated. From these appalling scenarios, the SpaTap now heralds the promise of delivering health, hygiene and harmony on both a personal and planetary level. and contributing towards the restoration of planet’s sustainability. 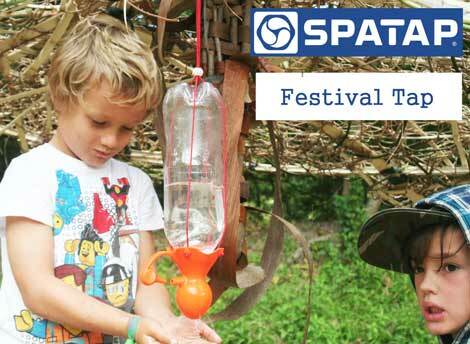 Now for the first time, the SpaTap immediately and effectively, with its proven and simple technology, provides both a fully mobile and / or fixed place for hand washing, showering, the provision of greater sanitation, and the inevitable reduction in worldwide pollution.